Reginald "Reggie" C. Hayes (born July 15, 1969) is an American actor, screenwriter, and director. 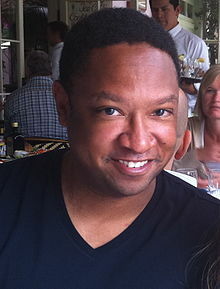 He is best known for his role as William Dent on the UPN/CW show, Girlfriends. Reggie is an avid supporter of his community and worked alongside his sister at various events for a charity dear to his heart, the “Reginald and Frances Hayes H.O.P.E. Scholarship Award”. He also made a surprise appearance at the University of Illinois in 2009 to present scholarships to deserving students. Reggie continues to help charities with missions he is deeply passionate about in the hope of creating positive change. Reggie is best known for his role as William Dent on BET/UPN/CW’s hit T.V. show “Girlfriends” that aired for 8 years until 2008. It earned him the “Best Supporting Actor in a Comedy Series” for three NAACP Image Awards, and People Magazine’s “Sexiest Man Alive” in 2007. Reggie went on to appear in several other movies and T.V. shows, including Criminal Minds, Will & Grace and NCIS. After a short career break, Hayes teamed up with Lock & Key Entertainment to launch his new brand. Actor Reginald C. Hayes was among the first to be recognized as one of three "Notable Men of the Academy" from St. John's Northwestern Military Academy on May 28, 2011. Chicago productions of "Chicago Conspiracy Trial"
This page was last edited on 3 December 2018, at 01:28 (UTC).